Gaige and Di Felice give date as '1902 (1903?)'. Di Felice identifies the 'Urusov' who played at this event as 'Urusov, Dmitry Semyonovich', who died in 1903 and was in his seventies at the time of this tournament. 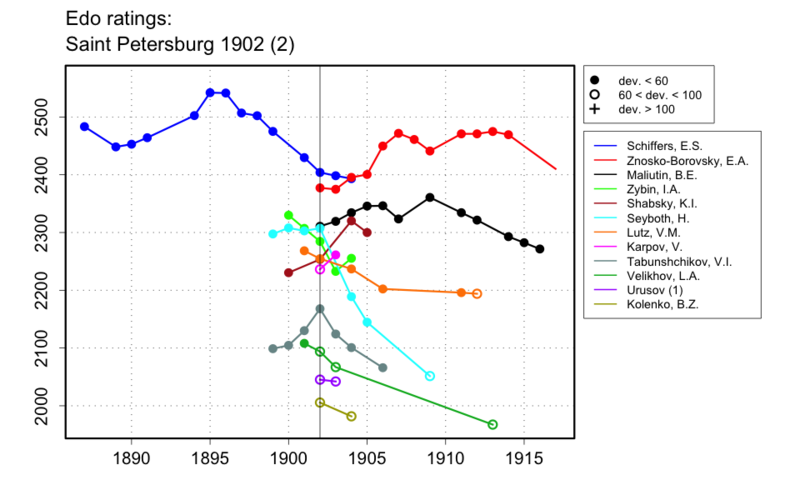 There was also an 'Urusov, N.' who played in correspondence tournaments from 1902 to 1910. Could these have been confused?